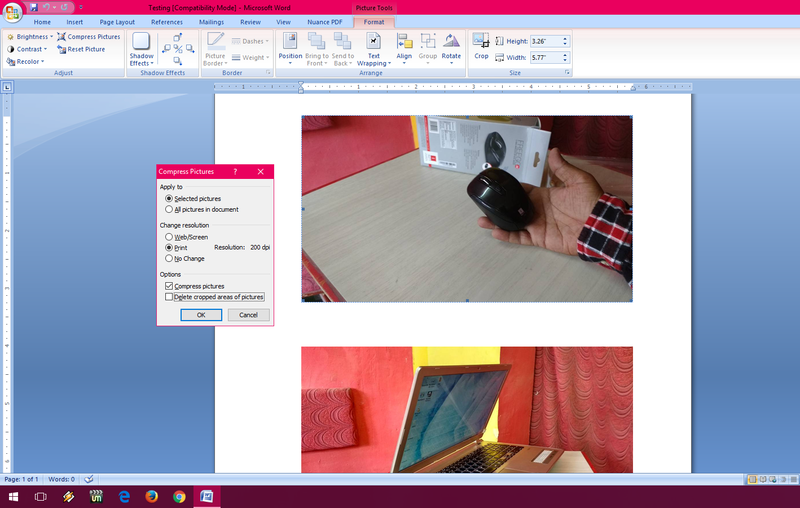 Hello everyone in this post I will show you how to compress pictures in Microsoft Word document to reduce the file size, as we know when we insert picture into word file it will increase the file size, so let see how to compress picture and reduce the word file size. 2. 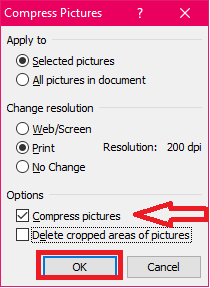 You will get a dialogue box check on “Compress pictures” if you want to you can uncheck the “Delete cropped areas of pictures” because this option can not be undo later.